Twitter is rolling out a new interface for Twitter.com. This promises to be a brand new experience for people who prefer to use Twitter.com rather than installing the app on their phone. And while it isn’t revolutionary, the new Twitter certainly looks pretty. The old Twitter interface is comprised of three vertical columns. On the left are your profile and trending topics. On the right there’s a list of people who Twitter suggests you follow. And in the middle are the tweets from the people you already follow. The new interface is comprised of just two columns. On the left is the timeline of tweets from the people you follow. And on the right is everything else, including who to follow and trending topics. You can still access your profile from the top bar as before. This makeover introduces new elements to the desktop version of Twitter. You can now save tweets as Bookmarks, enable Data Saver and Night Mode, and switch to a chronological timeline of tweets. Just as you can on Android and iOS. If you’re seeing the option to sneak a peek at the new Twitter, you just need to click “Take a look” to switch. Twitter will let you switch back to “Legacy Twitter,” but be warned that once you do, you can’t then switch back to the new Twitter. Or at least I couldn’t. The new Twitter.com is a lot better than the old Twitter.com. For starters, it’s better looking, with a lot of the clutter removed or shifted around so you can focus on the tweets. It’s also easier to navigate, and the previously app-only features are a welcome addition. While it’s currently only being trialled, and rolled out to selected users, we expect everyone to be switched to the new design sooner rather than later. 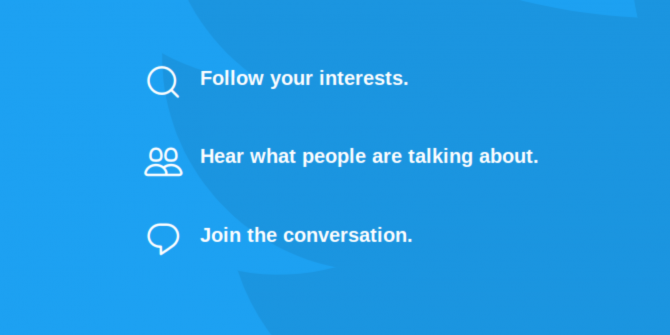 Then all you’ll need to do is decide whether or not you want to see tweets in chronological order Twitter's Chronological Timeline Is Back for Good Twitter's Chronological Timeline Is Back for Good Twitter has been working on a way of letting users switch between a chronological timeline and a ranked timeline. And it's finally ready... Read More .